Do you see your competition ranking their Youtube videos at the top of Google for the search terms you want to rank for? This is a screenshot of a popular motivated house seller search where our InvestorCarrot customers control the top 3 positions in Google. The #1 position is a Youtube video. Learn how to boost your Youtube video marketing below! In this post we’ll show you some Youtube SEO optimization tips that you can implement in your real estate investing or agent companies. The short-term things are actions you can take to get visitors to your website (cash buyers, motivated house sellers, tenants, private lenders, note sellers, etc.) within the first 30-60 days while your long-term SEO campaigns build. One of the marketing tools we love the most for both our short-term and long-term lead generation for ourselves and our high achieving investor clients is Youtube marketing. We wrote a short post about it last year, this post is a more detailed followup on optimizing those Youtube videos. The reason Youtube videos can rank so darn fast is because of the “Domain Authority” of Youtube.com. In Google’s eyes, Youtube has the highest possible authority and trust that a website can get. This makes it so any video uploaded to Youtube automatically has a better chance of ranking quickly for search phrases that it may take you months and months to rank well for with your own website with SEO. The ROI of Youtube marketing as a house flipper, investor, or agent can be pretty huge for the time you’ll invest. An average wholesale deal could net you approx $5k on the low end right? Would 3-4 hours of video work and “seo boosting” be worth it for that profit potential? The same for agents… what is your average listing worth? But you only have a better chance if you implement what the graphic above shows and avoid these common mistakes we see investors making. Not using your main keyword phrase in the video title: Most investors will throw a video on Youtube and not really think much about the title. 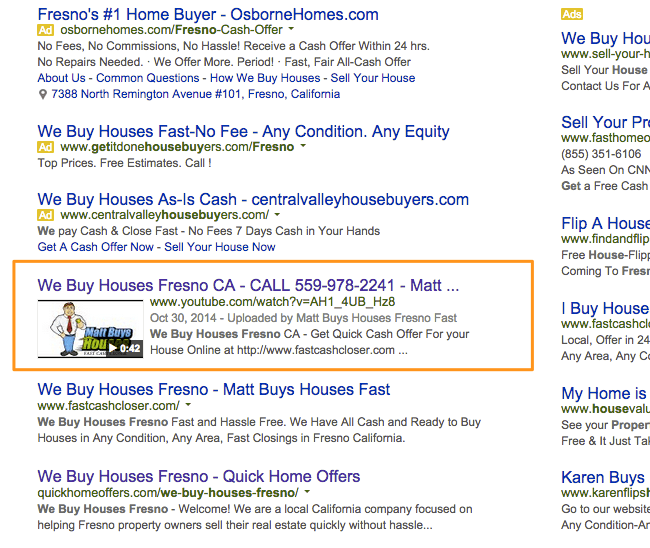 If you want to rank well for “sell my house fast madera CA”… your video should have those words in it toward the start of the title. Not uploading enough videos to your channel: Every day we see people asking how to improve their Youtube video rankings… then we look at their Youtube channel and see only 1 or 2 videos in there. Google wants to see that a channel is active. So get at least 4-6 videos in there! Not typing up a good long description in the description box: People forget that Google can only read what we give it to read. So use that description area to really talk about the content in the video. Include your keyword phrase and variations of it… and ideally get your keyword phrase toward the start of your description. Treat the description box like you’d treat the content on a page on your lead generation website. Get good quality content on there and optimize the content for the phrase you’re wanting to rank for. Not linking to your website from your description with the full “http://www.yoursitehere.com”: A solid way to drive people to your website and get a link back to your website is to include a clickable link in your video description! It’s a no brainer and should be one of the first things you put on your description. Thinking your work is over after you upload your video: If you’re in a competitive market where lots of other real estate investors, wholesalers, flippers, agents… etc. 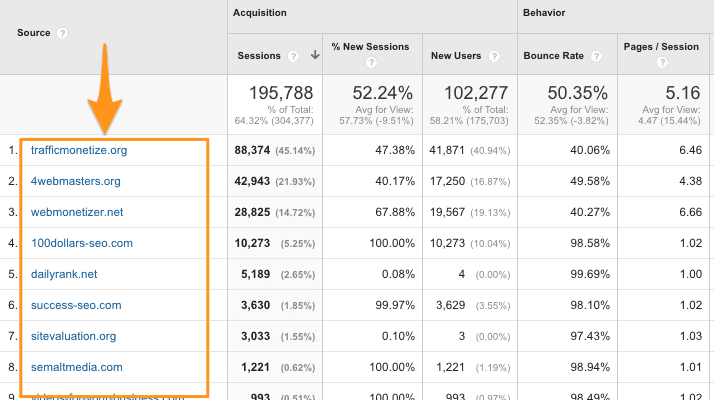 are competing for the same search phrases… you may need to add some SEO “boosters” to get your videos to rank higher. Get people to comment on your videos, share it on social media, link to the video, and post the video on your own website too. You’d be surprised how easy ranking a Youtube video can be with a few of the right steps.